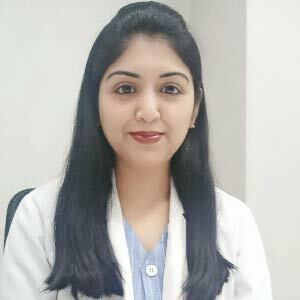 Dr. B Srujana is a Dermatologist, Venereologist, and Leprosy. I am a self-directed and a hard working medical professional with good communication skills and knowledge needed to understand and treat various dermatological conditions. Interested in gaining skills and experience in cosmetology and a few dermato-surgical procedures. Senior resident in the department of Dermatology, Venereology, and Leprosy (DVL) from Gandhi Medical college and Hospital, Hyderabad, from 2016 to 2017. Doctor of Medicine (M.D) in the department of Dermatology, Venereology, and Leprosy (DVL) from 2013 to 2016, from MediCiti Institute of Medical Sciences, Hyderabad. Internship in various departments from Gandhi Medical college and Hospital, Hyderabad, from 2011 to 2012. Bachelor of Medicine, Bachelor of Surgery (M.B.B.S), from 2006 to 2011, from Maharajah's Institute of Medical Sciences, Vizianagaram. Registered with Andhra Pradesh Medical Council with registration number 76474 in the year 2012 and renewal of registration with Telangana Medical Council in the year 2017. Registration of additional qualification (M.D DVL) with Telangana Medical Council in the year 2018. Registered with Medical council of India with certificate number 17-25733 in the year 2017. Worked as a consultant dermatologist in Bloom hospital, Aashritha hospital, Shree Sigma hospital, Rush hospital, Harsha hospital, Konark hospital for a period of one month (2017) and in Omega hospital (2018). One year work experience as Senior resident in the department of Dermatology, Venereology, and Leprosy (DVL) from Gandhi Hospital from 2016 to 2017. Worked as Junior resident/Post graduate in DVL from MediCiti Institute of Medical Sciences for a period of 3 years from 2013 to 2016. Attended one month of clinical rotation/observership in DVL department from Bangalore Medical college and Research Institute (2015) in cosmetology, dermatosurgery and paediatric opd. Attended two months of clinical rotation in DVL department from St. John's Medical college (2015), Bangalore, and Gandhi Medical College and Hospital (2015), Hyderabad. Clinical spectrum of cutaneous manifestations of thyroid disorders in patients attending MediCiti Institute of Medical Sciences as a author in Indian Journal of Clinical and Experimental dermatology (IJCED) in the year 2016. Pyoderma gangrenosum with Takayasu's arteritis as a Co-Author in Indian journal of Medical specialities in the year 2015. Presented a poster on Idiopathic Calcinosis Cutis over right side of lower abdomen in the year 2014 in Andhra pradesh IADVL State conference at Kurnool Medical College. Presented a Paper on Eccrine Syringofibroadenoma of right foot (Dermal duct naevus group) in the year 2014 in Andhra pradesh IADVL State conference at Kurnool Medical College. Attended the workshop on "Procedural approach to facial melanosis-Master plan & Back to the basics" on 46th National conference of IADVL in the year 2018, in Kochi. Attended live workshop on facial aesthetics at KIMS hospital, in the year 2017. Attended IADVL & SIG workshop on Trichology update in the year 2017 at ESIC Medical college. Telangana state & IADVL Research Methodology workshop as a delegate in the year 2015 at Deccan college of Medical sciences, Hyderabad. Attended "Telangana state IADVL & SIG Laser workshop" as a delegate in the year 2015. A workshop on Dermatosurgery at KIMS hospital, in the year 2015. Workshop on "Scientific concepts in cosmetology", 43rd National conference of IADVL in the year 2014 at Mangalore. Attended live workshop on different suturing techniques and nerve biopsy in the year 2014 at Gandhi Medical College and Hospital, Hyderabad. Attended to Basic Life Support (BLS) course for Health Care Provider as per the guidelines of American Heart Association on 5th April 2012, at Gandhi Medical College and Hospital, Secunderabad. A conference on "General dermatology, Paediatric dermatology, Dermatosurgery and Aesthetic dermatology" in the year 2018 as a delegate at National conference, Kochi. Conference on Ethical awareness programme in the year 2016 at MediCiti Institute of Medical Sciences. Zonal CME programme at Gandhi Medical college and Hospital, Hyderabad in the year 2016. A conference on "General dermatology, Paediatric dermatology, Cosmetology" in the year 2016, a National conference at Coimbatore. Attended "Telangana state IADVL & SIG Laser CME" in the year 2015. Attended a IAL Mid-term conference of Leprosy in the year 2015 at Gandhi Medical college and Hospital, Hyderabad. Zonal CME programme at Deccan medical college in the year 2015. Attended 1st Telangana State IADVL Conference at Hotel Marriott in the year 2015. Attended 20th International AIDS Conference at Melbourne, Australia in the year 2014. Attended AP Cuticon conference in the year 2014 in Andhra pradesh IADVL State conference at Kurnool Medical College. Conference on Photobiology, Photodermatosis& Sunscreens at Hotel Marriot, Hyderabad in the year 2014. A conference on "Scientific concepts in Cosmetology" in the year 2014 at National conference, Mangalore. Zonal CME programme at Deccan medical college in the year 2014. Zonal CME programme at Gandhi medical college and Hospital in the year 2014. Attended 33rd A.P State IADVL Conference at Kurnool medical college in the year 2014. Zonal CME programme at MediCiti Institute of Medical Sciences, Hyderabad in the year 2014. Zonal CME programme at Deccan medical college in the year 2013. Attended 32nd A.P State IADVL Conference at Osmania medical college in the year 2013. Zonal CME programme at MediCiti Institute of Medical Sciences in the year 2013. Certificate of participation in a conference on "Hospital Acquired Infections" at MediCiti Institute of Medical Sciences, Hyderabad in the year 2013 as a P.G student. Attended to "Internees Ethical Awareness Programme" at Gandhi medical college and Hospital in the year 2012. Secured 2nd prize in IAL Mid-term conference of Leprosy in the year 2015 held at Gandhi Medical college and Hospital, Hyderabad as a P.G student. Participated in a National Polio Surveillance Programme at Maharajah's Institute of Medical Sciences, Vizianagaram in the years 2008 and 2009. Clinical spectrum of cutaneous manifestations of thyroid disorders in patients attending MediCiti Institute of Medical Sciences for a period of one year in the years 2014 to 2015 as a Junior resident/Post-graduate. Indian Association of Dermatology, Venereologists and Leprologists (IADVL) with number PLM 8230.